"A Hell of a Life"
This story is about life. The good. The bad. The horribleness which permeates your soul and the joy which can be found in the right person’s arms. Jacob knows all about the good. With loving parents, and siblings who don’t mind when he tags along, he cannot wait until he can train to become a warrior witch like his father. Soulmates, fate, happily ever after. It’s all bull. At least it feels like it to, ex Navy Seal, J.T. Kirkland. A witch trained in battle magic, his affinity for water has made him the perfect seaman much to his family’s dismay. For J.T. working for the Supreme Witch’s Council was not on the agenda. Neither was falling for the hottest dame he’d ever seen, Tessa Windham.The farmer’s daughter from Kansas moves to the big city to find adventure and do her duty with the American Witch’s Council. What is a bored secret agent to do? Certainly not lose her heart to a charming smile and devastating blue eyes, but lose it she did until J.T. left for war. Still alone a hundred years later, Cole does whatever the hell he wants—when he’s not busy serving his master. Ornery and sarcastic, he’s content with his existence… until fate returns an angel to his door. Entangled all over again, things are much more complicated. Despite Cole’s reluctance to chance a second broken heart, outside obstacles are swiftly mounting. Fighting his inner demons, decadent captivity seems Cole’s only option to claim the woman he loves. Never did Seraphina foresee a life of refuge in the underworld. Cole, however, should have seen it coming. Sera’s kin would never relent and Hell was the only place their holier-than-thou feet couldn’t tread. Unfortunately, residing in a realm of depravity only adds to their problems. Now Cole must keep Sera safe from his kind as well. Even his inner demon is growing volatile from the constant subjection to evil. When the opportunity arises to solve their dilemma, Cole jumps at it with claws swinging. But it’s a dangerous mission, and Sera’s riding shotgun. Crazy adventures quickly turn perilous, and when all hope fails, Cole is forced to face his inner demons to find the lifeline they need. 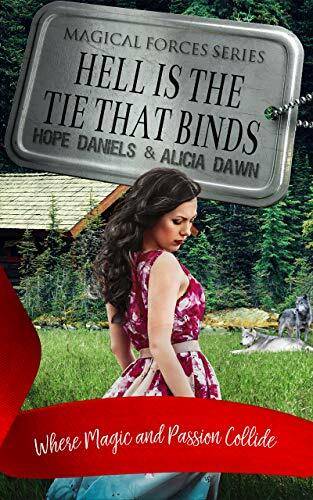 Just when Sera and Cole thought they were finally free, another evil rears its ugly fangs, blindsiding them both with their own brand of torture. Struggling against this newest deadly foe, startling information is revealed, prompting Cole to end their tribulations once and for all. But are the heartbreaking sacrifices required to do so too steep a price? Battling for their lives, the conclusion to Cole and Sera’s love story becomes one of legends. Don’t miss the fiery finish to this forbidden couple’s tale of epic devotion.